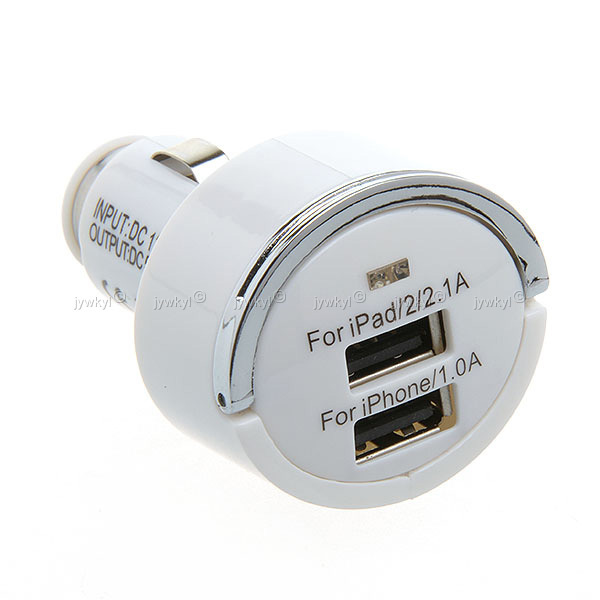 Converts power outlet 12 V to 2 USB ports, 2.1A and 1.0A. Plug directly into the car cigarette lighter 12V and / or 24V. Capable of charging two devices simultaneously. Input: 12V – 24V DC. Output: 5V 1.0A and 2.1A.